I don't take compliments easily, I am not often happy with the work I produce, always seeing where it could be better – I can thank my perfectionist mother for that character trait! 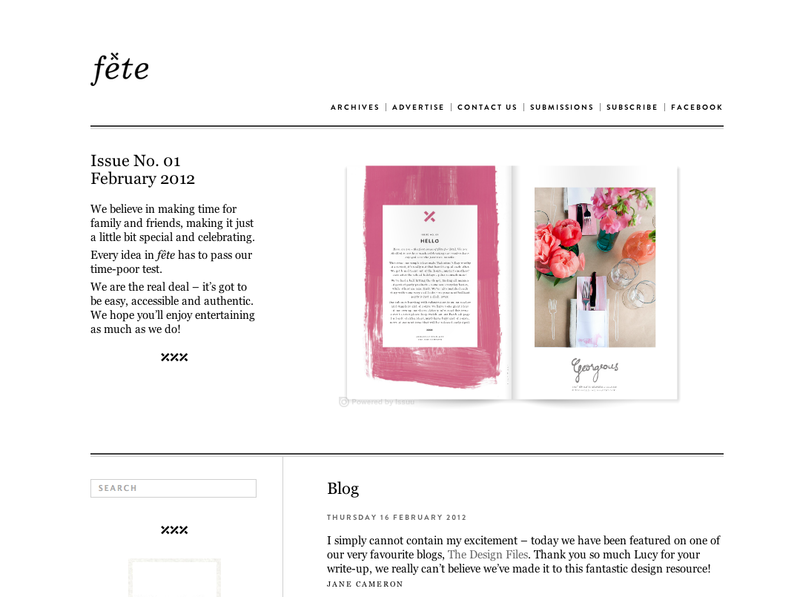 But today I'm happy because one of my favourite blogs, The Design Files, featured a story on Annabelle and me and our new magazine fête. I still can't quite believe the author of the site, Lucy, would be interested in our little project that we're producing from Adelaide in South Australia. And today, we launched our new website. This was not without its problems. Only days ago we decided to cease work with one web developer and employ another after weeks and weeks of ongoing problems with the first. We've ended up paying twice to have our website built but we wanted to be sure it was right - right from the start. I designed it to be simple and in keeping with the fête ethos. I'm not sure if it's the weeks of stress leading up to today or the pure relief that the site is actually up, but for today, I'm pretty happy with how things are working out. Hi Jane. 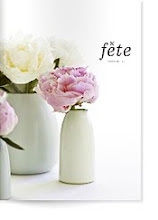 I saw the Fete writeup on Design Files today and commented that I loved the design. You have designed something unique. Alot of online mags are designed in a certain way at the moment (and that design is great too) - but you have created a format that is unique, stylish and lots of white space (which I love). Being a graphic designer myself - I liked your font choice, the photographs were beautiful, the content with the spreads then what you could wear/buy etc to achieve that - and the use of white space as a major part of the design - I wanted to applaud you on a great product. I will have to visit your site now (oh so late, but what's a girl to do when good design beckons). Pity about the double cost (grrr) but at least now you are perfectly happy with how it looks.